“Me before You” by Jojo Moyes is a very hyped book and since the movie is coming out soon, I decided to give it a try. I watched and read many reviews before actually reading the book so more or less I was aware of the fact that I was going to end up crying at some point. The story follows a very “normal” girl called Louisa who is twenty-seven years old and who has just lost her job. Her family needs the money so there is no chance for her to be picky about what or where to work (kindof). After trying a few jobs, some of them very disgusting, others not for her, she ends up going to an interview held by Mrs Traynor. Mrs Traynor’s son is a quadriplegic man and Louisa’s job is going to be taking care of him not in a physical level but more in an emotional one. She’ll be paid a really great amount of money so she accepts not without fear. He is moody, bad-tempered and bossy towards her most of the time but their relationship starts to evolve into something else. After finding out his shocking plan, Louisa embarks on a quest to show him that he has a future beyond his wheelchair. I’m going to start by naming the only part that I didn’t like or that I didn’t enjoy much. Louisa is an intelligent girl, in her own particular way; she knows that her family needs money especially because of what’s going on with her dad and sister. So, how can she be so selective when it comes to jobs? Sure, I do understand that some of the jobs were not for her, but not all of them. If your family is in need, you’ll do whatever to help. Since she is so close to her family, it felt unrealistic. 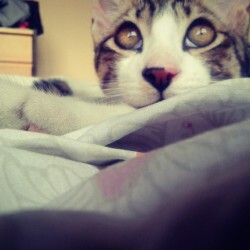 That’s my only critic. What I really love about this story is the character development and how the relationship between Louisa and Will is built. No instalove! 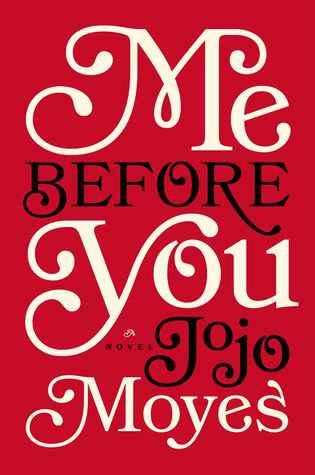 Jojo Moyes has a very fluent and smoothly way of telling the story and the insight details of a quadriplegic life are so well portrayed that as a reader, it’s easy to see how much Jojo Moyes got involve with learning about this disability. It’s not cheesy full of cliché romantic story. It’s a heartbreaking one so be prepare to cry. The less expected character is the one expanding their views of future and life.